I love my mirrorless camera. More specifically, I love my Fujifilm X-T2 and the X-T20 I owned previously. There are so many advantages that mirrorless cameras have that traditional DSLRs don’t have. Now this isn’t going to be a full on review of my Fuji cameras, nor is this yet another “DSLR vs mirroless, which is better” post that has been written about ad nauseam all over the internet. I love, love shooting with my Nikon D850 and D810 cameras too. There are absolutely no plans in my future to ditch my full frame Nikon gear any time soon. I just wanted to share a few things I really like about my Fuji gear. 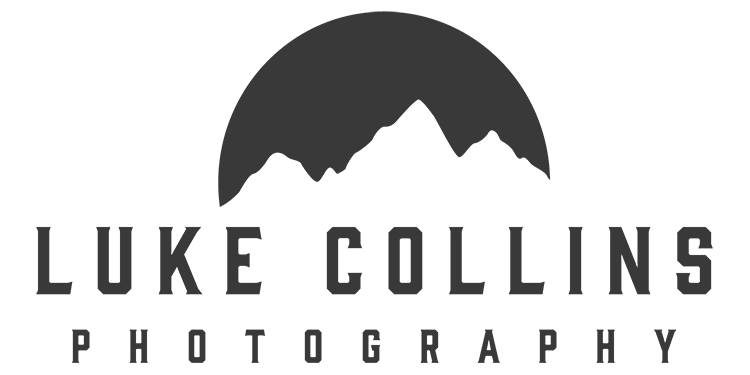 I want to start with image quality because at the end of the day it’s the most important aspect of a camera. How is the picture quality? The image quality of Fuji cameras is definitely really, really good. The smaller crop sensor that Fuji uses is not a problem at all. I’ll often shoot events using both my Fuji and Nikon and when culling through the images later, I won’t ever really notice which camera took which picture. Only under scrutiny is the different noticeable. Even when shooting landscapes, the differences in images shot at the same time is not really noticeable. In the two images below, one was shot with my Nikon D810 and the other was shot with my Fujifilm X-T20. They aren’t the most spectacular images I’ve ever taken, but you can see both images look nearly identical. Obviously there will be subtle differences in focal length, crop factor, and megapixels. However, those are things that will only be noticed by or cared about by pixel peepers on the internet. The Fujifilm X-t2 and X-T20 cameras I have shot with are amazing in low light as well. The resulting images at high ISO look fantastic. Here is an image shot with a higher ISO of 6400. As you can see, the image quality is fantastic! Especially for a crop sensor! To view this image at full resolution, click here. Another strength of the Fujifilm cameras is how good the images look straight out of camera. Fuji has set up their cameras with very good recipes for processing images with really nice film emulation. I always shoot RAW for landscapes to have more flexibility in processing, but for shooting portraits often times the camera generated JPEG file is enough to have a great looking portrait. The next thing I love about my Fuji gear is how small and light it is. That makes it much more travel friendly than my Nikon gear. When I travel, especially when going to the mountains, I have a problem of always packing too much stuff. I pack too many clothes, too many, shoes, too many of everything. That includes camera gear. I like having a complete gear setup so I plenty of options to help me get the shot I envision. That means I always bring my 15-30 f/2.8, 24-70 f/2.8, and my 70-200 f/2.8. 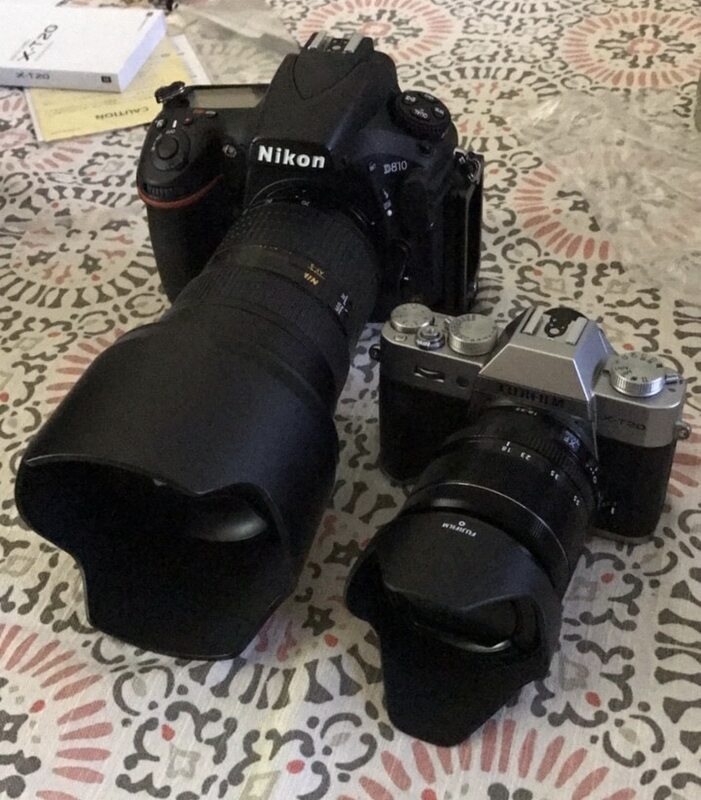 Those are three big and heavy lenses but having them all means I have any focal length I need from 15mm all the way to 200mm. I’ve lugged a heavy backpack with all that gear through multiple airports and it really takes it’s toll on my back. That’s why Fuji cameras are so nice. My X-T2, due to it’s smaller sensor and lack of mirror, is so much smaller and lighter than my full frame camera. More importantly, the smaller sensor means that lenses don’t have to be as large either. When I travel with my Fuji gear, I bring along my 14 mm, 16-55 mm, and 55-200 mm lenses so I have pretty much the same focal length coverage as my Nikon gear. And all that gear fits in to a little sling bag that weighs a fraction of the large and heavy backpack my Nikon gear lives in. One of the coolest things about my Fujifilm X-T2, and all mirrorless cameras in general, is the electronic viewfinder (or EVF). Without a mirror, it means you are always looking at the cameras “live view” to take a term from DSLRs. I love having live view in the viewfinder! The OVF can, at all times, show me what the final image will look like. I can see what the exposure, white balance, film emulation, and depth of field will be when I press the shutter. There’s no guessing like when looking through an optical viewfinder of a DSLR. The Fujifilm X-T2 has dials for all the settings of the exposure triangle. There’s a dial for shutter speed and ISO on top of the camera. To see what your settigns are, you just look down at the dial and it’s all right there. Not on a screen, but on the dial itself. This makes is for kind of an old fashioned experience. It’s also is a great way to slow you down a little bit to take more time to think about the image you are capturing. Another really nice touch of uniqueness in the Fuji system is the aperture ring on the lenses. I absolutely love this! To change the aperture of the lens, rather than moving a dial on my camera, I turn the ring on the lens. Like the setting dials mentioned above, it doesn’t really change the way any of these things work. It just means shooting with Fuji gear is a different experience than when I have my Nikon gear out with me. These are 5 things I love about shooting with my Fuji gear. It’s one of these reasons why I grab the Fuji rather than the Nikon when heading out for a shoot. Like I mentioned, I still love shooting with my Nikon cameras. Choosing which camera to bring is more often than not a spur of the moment decision. I like to change it up a bit to help fuel creativity.